Louis married Carolyn Laverne Adams. 398. Teddy Verdin Wood (George176, William Henry78, William Leander31, James14, Peter4, James1) was born on 12 Dec 1936 in Paragould, Greene, Arkansas, United States and died on 24 Aug 1971 in Memphis, Shelby, Tennessee, United States at age 34.
saying...'got to keep on keeping on.'" Teddy married Patsy Sue Fletcher, daughter of Vernon Fletcher and Clara Smith. 836 M ii. Danny Lynn Wood was born on 10 Sep 1955 in Greene, AR and died on 27 Jul 1975 in Jackson, Madison, Tennessee, United States at age 19. Timothy married Jo Ann Nash, daughter of James Nash and Celesta Mullins. Margaret married Charles Edward Schmidt Sr.
841 M i. Charles Edward Schmidt Jr.
John married Jacqueline Henrietta Jordeau. + 849 M ii. 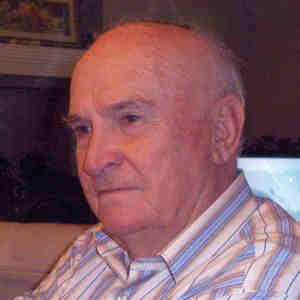 Raymond Franklin Conway Jr.
Joe next married Donald O. Chadwick. 409. Crissa Jane Wood (Levi Davis (LD)184, Colonel Jefferson Davis85, Levi Aaron48, Matthew J.23, Brewer6, James1) was born on 4 Nov 1934 in Los Angeles, Los Angeles, California, United States, died on 16 Jan 1978 in Richmond, , California, United States at age 43, and was buried in Rose Hill Cemetery, Johnson, Texas, United States. Crissa married Eugene S. Royal. 851 M i. Eugene S. Royal Jr.
852 F ii. Kathryn Elizabeth Royal was born on 1 Dec 1959, died on 15 Jan 1985 at age 25, and was buried in Rose Hill Cemetery, Johnson, Texas, United States. Robert married Judith Ann Baker, daughter of Milford Lawrence Baker and Blanche Laura Winstead. 412. Cathryn Ora Wood (Levi Davis (LD)184, Colonel Jefferson Davis85, Levi Aaron48, Matthew J.23, Brewer6, James1) was born on 2 Dec 1947 in Santiago, Chile and died on 16 Jan 1985 in Cleburne, Johnson, Texas, United States at age 37. Cathryn married Joe Robert Martin, son of Arty Martin and Melba King. My mother was adopted through the Tennessee Children's Home operated by the infamous Georgia Tann in Memphis, TN. Because of the irregularities in the adoptions Ms Tann oversaw, records are being released to family members who inquire. I received copies of my mother's adoption records from Tennessee on Feb 13, 2012. These adoption records show the following information: My mother's original birth certificate lists her mother as Catherine "Kitty" Ruth Wood and her father as Scott Landrum. Kitty Ruth was not married to Scott and left Mississippi to have her baby in Tennessee, telling her parents that she was going to work for the war effort in Tennessee to make more money. She worked in a factory in TN during her pregnancy, and wore coveralls that allowed her to hide her condition. She told the social worker handling the adoption that she loved Scott Landrum and wanted to marry him, but her family was against it because he was divorced. 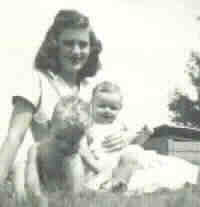 She gave birth to a daughter on 5/24/42 and named her Nancy Catherine Wood. The baby was adopted by Gregory and Nadia Pasman of New York, Russian Jewish immigrants, who changed her name to Isabel May. 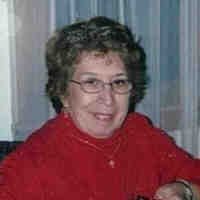 Isabel May Pasman was my mother, and she died on Sept 30, 2010. She was married to Eugene Garfinkle, who died on Feb 6, 2012. I am their only child, and I was born Sept 3, 1964. My mother was interested in finding out about her birth family, but her efforts were sporadic. I would like to know more about my mother's birth family, but I do not want to upset family members who may not know about this hidden part of the family tree, especially Kitty Ruth's descendants, the DiNicola family. James married Christine Rosson, daughter of Bass Rosson and Faustine Essery. Susan married Sidney Thomas Perkins II. 427. Iris Frances Clark (Ruth Bryan Wood199, Floyd Stephen89, William Alexander52, Matthew J.23, Brewer6, James1) was born on 1 Apr 1927 in Noxapater, Winston, Mississippi, United States, died on 18 Sep 2010 in Louisville, Winston, Mississippi, United States at age 83, and was buried on 22 Sep 2010 in Noxapater Methodist Church Cemetery, Winston, Mississippi, United States. Iris married James Claudel Price, son of James Madison Price and Lois Ione Hooten, on 30 Aug 1959 in Noxapater, Winston, Mississippi, United States. James was born on 24 May 1919, died on 8 Nov 2006 in Louisville, Winston, Mississippi, United States at age 87, and was buried on 10 Nov 2006 in Noxapater Methodist Church Cemetery, Winston, Mississippi, United States. Ava married Albert Scranton Meyer, son of Raymond Albert Meyer and Anna Lois (Louise) Tawney. Thomas married Marla Kay Brownfield. Betty married Leland Eugene Harrison. Leland was born on 10 Apr 1929 in Deemer, Neshoba, Mississippi, United States, died on 24 Apr 1977 in Philadelphia, Neshoba, Mississippi, United States at age 48, and was buried in Cedarlawn Cemetery, Neshoba, Mississippi, United States. 876 M iii. Michael Curtis (Mike) Harrison was born on 17 Mar 1961 in Union, Newton, Mississippi, United States, died on 4 Feb 2006 in Philadelphia, Neshoba, Mississippi, United States at age 44, and was buried in Cedarlawn Cemetery, Neshoba, Mississippi, United States. 431. James Henry (Jimmy) Bridges (Annie Rebia (Reba) Wood200, Floyd Stephen89, William Alexander52, Matthew J.23, Brewer6, James1) was born on 14 Aug 1938 in Philadelphia, Neshoba, Mississippi, United States, died on 22 Jun 1985 in Philadelphia, Neshoba, Mississippi, United States at age 46, and was buried in Cedarlawn Cemetery, Neshoba, Mississippi, United States. James married Ann B. Myers, daughter of Newton O. Myers and Lillie Moore, on 20 Dec 1959 in Philadelphia, Neshoba, Mississippi, United States. Ann was born on 22 Feb 1937 in Philadelphia, Neshoba, Mississippi, United States, died on 16 Sep 2008 at age 71, and was buried in Cedarlawn Cemetery, Neshoba, Mississippi, United States. 432. Edith Marie Alford (Mary Cordie Wallace Wood201, Floyd Stephen89, William Alexander52, Matthew J.23, Brewer6, James1) was born on 1 Jan 1927 and died on 20 Oct 1969 at age 42. Edith married Benjamin Taylor Moorer. + 879 M i. Benjamin Taylor Moorer Jr.
435. Stephen Hurd Spivey (Carrie Theresa Wood204, Floyd Stephen89, William Alexander52, Matthew J.23, Brewer6, James1) was born on 23 Nov 1936 in Philadelphia, Neshoba, Mississippi, United States and died on 17 Sep 1997 in Sherwood, Pulaski, Arkansas, United States at age 60. Stephen married Marion Lane Furr, daughter of Laney Ray Furr and Ruth Jane Renfro. Laurence married Patricia Lu Carter, daughter of Frank Lynn Carter Jr. and Lucille Milne. David married Sally Ann Haddock, daughter of George Walter Haddock and Edtih Caroline Rowland. 886 M i. David Floyd Sheldon Jr.
Jennifer married Michael Stinar, son of Bart Stinar and Michelle (Shelly). Beverly married John Darlington Meaders. + 890 M i. John Timothy (Tim) Meaders was born on 7 Sep 1952 in Biloxi, Harrison, Mississippi, United States and died on 23 Feb 2008 at age 55. Beverly next married Alonzo Leon Badon. Alonzo was born in Jan 1939 and died in Mar 1999 in Slidell, St. Tammany Parrish, Louisiana, United States at age 60. Betty next married Lonnie Farris. Cheri married Theoris Nolie Mann, son of N. C. Mann and Luella Gratham. John married Linda Gale McGivney, daughter of James McGivney and Jean Horn. James married Catherine Lee Drury, daughter of Raymond Drury and Frances Petro. Flora married Marvin Wesley Means, son of Wesley Robert Means and Thelma Lleth Kingsley. Flora next married David G. Horton. Flora next married Marvin Wesley Means, son of Wesley Robert Means and Thelma Lleth Kingsley. Flora next married John Galvan. Flora next married Earnest D. Dewitt, son of William Luther Dewitt and Lottie Mae Williams. Flora next married Joseph Edward Lucas, son of Edward Lucas and Anna Louise Simmons. Flora next married James Leroy Fuller, son of William Laverne Fuller and Mary Ruth Crawford. Flora next married Kenneth Hamel Webb. James married Anne Reed Haskins. James next married Anne Reed Haskins. 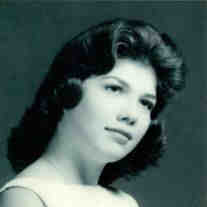 John married Joan Marie Jaloway, daughter of Johnie R. Jaloway and Ludmilla (Lillie) Prokup. Amy married Douglas Robert Tippitt II, son of Doulgas Robert Tippitt and Cheri Lee Currier. John next married Beverly Joan Bonk, daughter of Harold James Bonk and Laverne Krause. Carrie next married Marion (Turbo) Ford, son of Marion Harold Ford and Barbara Jean Nickl. Ronald next married Margaret Reeves. Ronald next married Donna Elizabeth Brooks, daughter of John Finley Brooks and Edit Bennett. Gwen married James Michael Wade, son of James Wade and Mary Fred Smith. Gwen next married Nicholas Fleming Leber, son of Albert Leber and Betty. Leonard married Evelyn Lloyd, daughter of Allen Robert Lloyd and Mary Louise Howard. + 924 M i. Leonard Wright Hollingsworth Jr.
Kitty married Bruce Barton Paulus, son of Edwin Henry Paulus and Marie (Kitty) Batty. R. married Billie Rohus, daughter of Jim Rohus and Lacie. Billie was born on 15 Oct 1930 in Colorado City, Mitchell, Texas, United States and died on 20 Sep 2000 in Cross Plains, Callahan, Texas, United States at age 69. + 928 F i. Carolyn Ruth Barnett was born on 3 Jul 1947 in Big Springs, Howard, Texas, United States and died on 29 Sep 1994 in Abilene, Taylor, Texas, United States at age 47. + 929 M ii. Larry Wanvol Barnett was born on 26 Apr 1949 in Colorado City, Mitchell, Texas, United States and was buried in Colorado City, Mitchell, Texas, United States. 455. Ira Lynn (Jack) Barnett (Lillie Lou Wood214, John Randolph97, Jefferson Davis53, Matthew J.23, Brewer6, James1) was born on 17 Aug 1922 and died on 23 Oct 1997 in Wichita, TX at age 75. Ira married Dorothy M. Burk. James married Mary Maude Barr. Jackie married Donna K. Voyles. 458. Joseph Clark Brothers Jr. (Lillie Lou Wood214, John Randolph97, Jefferson Davis53, Matthew J.23, Brewer6, James1) was born on 31 Aug 1932 in Stanton, Martin, Texas, United States, died on 8 Jul 1971 in Midland, Midland, Texas, United States at age 38, and was buried in Arlington, Tarrant, Texas, United States. Joseph married Cutah N. Truelove, daughter of Cliff Truelove and Reba Chamblee. 459. Lige Audry (Bobby) Brothers (Lillie Lou Wood214, John Randolph97, Jefferson Davis53, Matthew J.23, Brewer6, James1) was born in 1935 in Stanton, Martin, Texas, United States and was buried in Midland, Midland, Texas, United States. General Notes: He married an unknown person. Lige married Jo Ann Barron. 460. Ollie Emerson (Buddy) Brothers (Lillie Lou Wood214, John Randolph97, Jefferson Davis53, Matthew J.23, Brewer6, James1) was born on 1 Jan 1935 in Stanton, Martin, Texas, United States, died on 13 Oct 1990 in Farwell, Parmer, Texas, United States at age 55, and was buried in Farwell, Parmer, Texas, United States. Ollie married Linda L. Dagley, daughter of J. H. Dagley and Bonnie Mae Sheffield. 939 M i. Robert Wesley Brothers died in Pentwater, Oceana, Michigan, United States and was buried in Pentwater, Oceana, Michigan, United States. Ollie next married Wanda Coats. Beverly married Robert Daniel Cox, son of Archie Dean Cox and Viola Conway. Keith married Kesha Matthews, daughter of Matthews and Mary. Ruby married John Ross Hatten, son of Bertha Eller. John was born on 18 Jun 1925, died on 17 Jul 1999 in Abilene, Taylor, Texas, United States at age 74, and was buried in Romney, Eastland, Texas, United States. Bertha married Macon Ray Pipken. Macon was born on 12 Sep 1952 in Harris, TX and died on 30 Aug 1996 in Eastland, Eastland, Texas, United States at age 43. Geraldine married Bobby Joe Davis. Anita married Elvis Marvin Steele. Anita next married Lee Harding Swaney. Lee was born on 10 Jan 1923 in Hill City, Graham, Kansas, United States and died on 30 Sep 1972 in Ward, TX at age 49. Mable married Kenneth Melvin Spencer. 954 M ii. 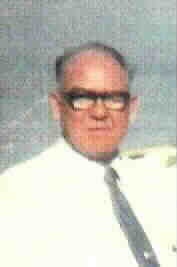 Kenneth Melvin Spencer Jr.
Kenneth married Velda D. Bibby. + 957 M v. Jerry Wayne Spencer was born on 12 Jan 1956 in Pentwater, Oceana, Michigan, United States and died on 6 Aug 1984 in May, Brown, Texas, United States at age 28. Mable next married Charles Leo Benson, son of Virgle Benson and Addie Johnson. Charles was born on 26 Oct 1926 in Byrd's Store, Brown, Texas, United States and died on 17 Jan 2006 in El Paso, El Paso, Texas, United States at age 79. 470. James Norman Wood (Norman Caglin221, John Randolph97, Jefferson Davis53, Matthew J.23, Brewer6, James1) was born on 2 Mar 1943 in Lamesa, Dawson, Texas, United States, died on 31 Aug 1991 in West, Mclennan, Texas, United States at age 48, and was buried in Lake Dallas, Denton, Texas, United States. James married Diane Kay Thompson, daughter of James Earle Thompson and Opal Cowe. Billy married Shirley Ann Hart, daughter of Julian Hart and Maxine Doval. Norma married Randall H. Childs. Norma next married Roy Lee Spivey. Norma next married Jim Nidiffer. 474. Harold Ambrice Boatner (Lura Dorothy Vowell222, Mattie Lula Wood98, Jefferson Davis53, Matthew J.23, Brewer6, James1) was born on 20 Oct 1916 in , Winston, Mississippi, United States, died on 5 Apr 1962 in Jackson, Hinds, Mississippi, United States at age 45, and was buried in Antioch Church of God Cemetery, Winston, Mississippi, United States. Harold married Harriett Kathleen Hartness, daughter of James W. Hartness and Estelle Sides. + 968 M i. James Harold Boatner was born on 16 Oct 1939 in , Winston, Mississippi, United States, died on 14 May 2011 in Meridian, Lauderdale, Mississippi, United States at age 71, and was buried on 16 May 2011 in Hartness Cemetery, Winston, Mississippi, United States. 969 M ii. Grady Boatner was born in 1940 and died in 1940. 475. Howard Lee Boatner (Lura Dorothy Vowell222, Mattie Lula Wood98, Jefferson Davis53, Matthew J.23, Brewer6, James1) was born on 5 Sep 1919 in , Winston, Mississippi, United States, died on 15 Oct 2001 in Meridian, Lauderdale, Mississippi, United States at age 82, and was buried on 17 Oct 2001 in Plattsburg Cemetery, Winston, Mississippi, United States. General Notes: Retired sawmille operator, mechanic. Howard married Ruby Pearl Manning, daughter of David Manning and Lula Mangram. 477. Hollis Reubin Boatner (Lura Dorothy Vowell222, Mattie Lula Wood98, Jefferson Davis53, Matthew J.23, Brewer6, James1) was born on 18 Sep 1924 in , Neshoba, Mississippi, United States and died on 3 Jun 1993 in Tifton, Tift, Georgia, United States at age 68. Hollis married Annie Florence Holmes, daughter of Walter Moore Holmes and Mary Ella Gray, on 12 Aug 1941. Annie was born on 15 Dec 1923 in , Neshoba, Mississippi, United States and died on 15 Oct 1995 in Tifton, Tift, Georgia, United States at age 71. + 977 M i. Roy Wayne Boatner was born on 28 Jun 1941 in , Neshoba, Mississippi, United States, died on 3 Jan 2017 in Philadelphia, Neshoba, Mississippi, United States at age 75, and was buried on 7 Jan 2017 in Philadelphia, Neshoba, Mississippi, United States. + 980 M iv. Walter Lynn Boatner was born on 10 Oct 1953 in Nashville, Berrien, Georgia, United States, died on 25 Aug 2010 in Lenox, , Georgia, United States at age 56, and was buried in Lakeview Baptist Church, Cook, Georgia, United States. Victor married Bonnie Jean Tolbert, daughter of Monroe Tolbert and Juanita Evans. Victor married Carol Marie Burkes, daughter of Wendell Edwin Burkes and Evelyn Williamson. Hubert married Imogene McNeill, daughter of Nathan Green McNeil and Monnie Lee Fedrick, on 10 Nov 1941 in Philadelphia, Neshoba, Mississippi, United States. Imogene was born on 16 Jan 1922 in , Neshoba, Mississippi, United States, died on 1 May 2010 in Philadelphia, Neshoba, Mississippi, United States at age 88, and was buried on 3 May 2010 in Cedarlawn Cemetery, Neshoba, Mississippi, United States. Lula next married George Ray Ruffin, son of Charles Hopson Ruffin and Lubel Blake. Ima married Austin Hudson, son of William Lee Hudson and Cora Gore. James married Margaret McClaulin, daughter of Jim McClaulin and Lena. James next married Dorothy Ann Baggett, daughter of Robert Baggett and Rosselle. R. married Mary Juanita (Nita) Nowell, daughter of Douglas Nowell and Elmer Enez Breazeale, on 11 Apr 1953 in Jackson, Hinds, Mississippi, United States. Mary was born on 14 Jan 1926 in Philadelphia, Neshoba, Mississippi, United States and died on 27 Aug 2004 in Philadelphia, Neshoba, Mississippi, United States at age 78. Willis married Frances Byars, daughter of Travis Jackson Byars 163 and Katherine Mabus. Norford married Leah Jane Chaney, daughter of Leonard Bailey Chaney and Myrtis Gertrude Burks. + 1002 M ii. Norford Glen (Butch) Hodgins Jr.
488. Mavis Irene Vowell (Ivey Ambers Vowell224, Mattie Lula Wood98, Jefferson Davis53, Matthew J.23, Brewer6, James1) was born on 29 Dec 1921 in Philadelphia, Neshoba, Mississippi, United States and died on 27 Mar 2006 in Lakeland, FL at age 84. Mavis married Jesse Wallace Ryals, son of Larkin Herbert Ryals and Nola Amanda Burchfield, on 5 Jan 1940 in Philadelphia, Neshoba, Mississippi, United States. Jesse was born on 9 Dec 1914 in Philadelphia, Neshoba, Mississippi, United States, died on 2 Dec 1994 in New Orleans, Orleans Parish, Louisiana, United States at age 79, and was buried in Plattsburg Cemetery, Winston, Mississippi, United States. Mavis next married Harold Maxson. Mavis next married Arthur D'Argo. 489. Hilton Lee Vowell (Ivey Ambers Vowell224, Mattie Lula Wood98, Jefferson Davis53, Matthew J.23, Brewer6, James1) was born on 22 Nov 1924, died on 30 Nov 1984 in Philadelphia, Neshoba, Mississippi, United States at age 60, and was buried in Arlington Cemetery, Neshoba, Mississippi, United States. Hilton married Willie O. D. Davis, daughter of Oscar Davis and Emma Ruth Gordon. Willie was born on 20 Mar 1925 in Melvin, Choctaw, Alabama, United States and died on 31 Dec 1989 in Mobile, Mobile, Alabama, United States at age 64. Hilton next married Jennie Sapienza, daughter of Salavador Sapienza and Grace Dina, on 24 Jul 1947 in Chicago, Cook, Illinois, United States. Jennie was born on 6 Jun 1929 in Chicago, Cook, Illinois, United States, died on 3 Jun 2018 in Philadelphia, Neshoba, Mississippi, United States at age 88, and was buried on 6 Jun 2018 in Arlington Cemetery, Neshoba, Mississippi, United States. Jennie married Michael Keith Jones, son of Floyd Jones Jr. and Nellie McIntosh. 490. 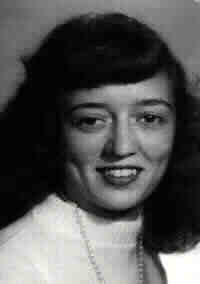 Katheryn Jean Vowell (Ivey Ambers Vowell224, Mattie Lula Wood98, Jefferson Davis53, Matthew J.23, Brewer6, James1) was born on 18 May 1927 in , Neshoba, Mississippi, United States and died in Mar 2003 in Waco, Mclennan, Texas, United States at age 75. Katheryn married L. D. Driskell, son of Luke Driskell and Mary Cole, on 16 Oct 1943 in Union, Newton, Mississippi, United States. 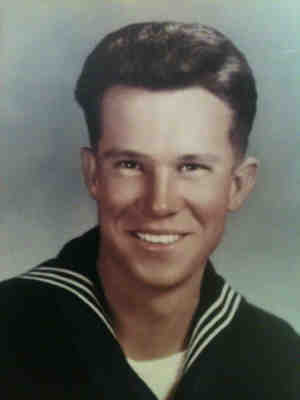 L. was born on 18 Feb 1921164 and died on 29 Nov 1977 in Hill, TX at age 56. Ida married Jerrol Patton (Pat) Wilson, son of Clifton Wilson and Johnnie Frances Welch. 492. Ivey Edward Vowell Jr. (Ivey Ambers Vowell224, Mattie Lula Wood98, Jefferson Davis53, Matthew J.23, Brewer6, James1) was born on 18 Dec 1930 in , Neshoba, Mississippi, United States, died on 21 Apr 2004 in Philadelphia, Neshoba, Mississippi, United States at age 73, and was buried in Arlington Cemetery, Neshoba, Mississippi, United States. Another name for Ivey was Jr. Ivey Ambers Vowell. Ivey married Sarah Myria Jackson, daughter of William Benjamin Jackson and Louise Crabtree. 493. 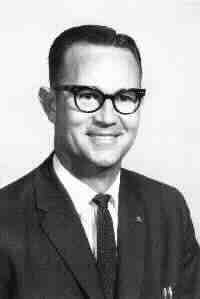 Bennie Jerome Vowell (Ivey Ambers Vowell224, Mattie Lula Wood98, Jefferson Davis53, Matthew J.23, Brewer6, James1) was born on 18 Apr 1935 in , Winston, Mississippi, United States and died on 14 Nov 1995 in Philadelphia, Neshoba, Mississippi, United States at age 60. Bennie married Anne Angeline Lopresto, daughter of Santo (Sam) Lopresto and Lena. Linda next married Jerry R. Parrish, son of Glaydon Parrish and Macie Adams. Barbara married Jimmy Barnes Pou, son of Louis Lane Pou and Helen Barnes. Jimmy was born on 30 Dec 1940 in , Neshoba, Mississippi, United States, died on 10 Oct 2017 in Meridian, Lauderdale, Mississippi, United States at age 76, and was buried in Black Jack Baptist Church Cemetery, Neshoba, Mississippi, United States. Carl married Doris Virginia Thrash, daughter of Doris Elmo Thrash and Ada Mae Wilkerson. Carl next married Doris Smith, daughter of Henry Leon Smith and Ida Nell Culberson. Gloria married Billy Earl Reese. Gloria next married Bennie Ray Sullivan, son of John Henry Joshua Sullivan and Mary Etta Bigart. Bennie was born on 22 Sep 1940 in , Neshoba, Mississippi, United States, died on 28 Aug 2016 at age 75, and was buried in Arlington Cemetery, Neshoba, Mississippi, United States. Jimmy married Brenda Carol Clark, daughter of Marion Stanley Clark and Odessa Mae Guthrie. Jimmy next married Marsha Scribner, daughter of Marshall Scribner and Jimmie Louise Mann. Mary married William Jay Zieminick, son of Wilson Zieminick and Mary Belle Baxter. Priscilla married David Lonnie Sanders. 501. Edith Ann Vowell (Ivey Ambers Vowell224, Mattie Lula Wood98, Jefferson Davis53, Matthew J.23, Brewer6, James1) was born on 10 Sep 1950 in , Neshoba, Mississippi, United States, died on 22 Jun 2015 in Burnside, Neshoba, Mississippi, United States at age 64, and was buried on 25 Jun 2015 in Cedarlawn Cemetery, Neshoba, Mississippi, United States. Edith married Chalmus Lee Massey, son of Chalmers Bernice Massey and Lessie Sims. Edith next married Benjamin Jacob Long, son of Jacob Franklin Long and Bennie Earl Graham. Mary married Floyd Calvin Martin. Floyd was born on 30 May 1915. + 1038 M ii. William Floyd Martin was born on 6 Aug 1943 in Philadelphia, Neshoba, Mississippi, United States, died on 26 Oct 2017 in Cornelia, Habersham, Georgia, United States at age 74, and was buried on 28 Oct 2017 in Union Memory Gardens, Union, Georgia, United States. 503. Richard Lee Willis (Grace Vowell225, Mattie Lula Wood98, Jefferson Davis53, Matthew J.23, Brewer6, James1) was born on 18 Apr 1928 and died in Sep 1975 at age 47. Richard married Bobbie Lucille Thompson, daughter of Carlie Edward Thompson and Lonie Irene Hollis. Mary married James (Jimmy) Ivy. + 1042 M i. Johnny Macil Lillis was born on 31 Oct 1949 and died on 3 Sep 1994 in Purvis, Lamar, Mississippi, United States at age 44. 505. Johnny Ruth Estes (John Aaron (Johnny) Estes226, Mattie Lula Wood98, Jefferson Davis53, Matthew J.23, Brewer6, James1) was born on 12 Nov 1934 and died on 4 Apr 1972 at age 37. 1046 M iii. Devon Smith was born on 3 Sep 1953 and died on 25 Oct 1992 at age 39. Eugene married Janet Tonia Leslie. Eugene next married Sondra Kay Brock. + 1054 M ii. 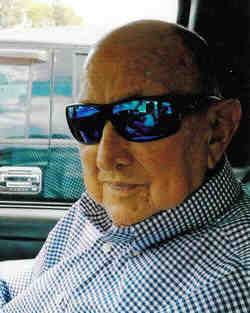 Eugene Delano (Gene) Estes Jr.
Barbara married Hayward Barnes, son of Barnes and Jessie Mae Manning. Barbara next married Charles Marvin (Mickey) Clark, son of John Clark. Barbara next married Leonard Jerome (Joe) Whitehead, son of George Blaine Whitehead and Gladys Bailey. Martin next married Freida Gay Dickerson. 518. Mary Frances Estes (Robert Lee Estes228, Mattie Lula Wood98, Jefferson Davis53, Matthew J.23, Brewer6, James1) was born on 13 Jul 1941, died on 10 Jan 2016 in Waynesboro, Wayne, Mississippi, United States at age 74, and was buried in Mars Hill Cemetery, Winston, Mississippi, United States. Mary married Jerry Marshall on 7 Jun 1958. Jerry was born on 13 Jan 1940. Mary next married Robert Moore. 1064 M i. Tonnie Earl Estes II 131 was born on 10 Feb 1971, died on 17 May 1977 in , Winston, Mississippi, United States at age 6, and was buried in Mars Hill Cemetery, Winston, Mississippi, United States. Tonnie next married Laveeda Elizabeth Clark, daughter of James Clark and India Smith. Martha married James Richard Pope. James was born on 27 Jun 1948, died on 11 Dec 1993 at age 45, and was buried in Parkway Cemetery, Attala, Mississippi, United States. James next married Carol Marie Burkes, daughter of Wendell Edwin Burkes and Evelyn Williamson. 1068 M i. James Earl Estes Jr.
Marion married Juanita I. Lagon. Darrell married Connie Marie Judge. Martha married Bobby Jerald Collins, son of Jeff Collins and Connie. 1077 M iii. Bobby Jerald Collins Jr. was born on 22 Jan 1970 in Midland, Midland, Texas, United States and died on 27 Jan 1988 in Midland, Midland, Texas, United States at age 18. Billie married Ronald Shelton Williams. Cori married Dominick Dariel Gallegos. Thomas married Willie Tee Malloveene Gault, daughter of Alton Alexander Gault and Sarah Ruth Perry. Willie was born on 8 Mar 1948 in Madisonville, Hopkins, Kentucky, United States and died on 6 Aug 2015 at age 67. Brenda married David William White, son of Calvin White and Carol. Bradley married Julie Lynn Knowlton. Brenda next married Basil Jay. Brenda next married George Anders (Andy) Baldwin, son of George Avner Baldwin and Adda Wanda Anders. Arita married Jessie Ray Abbey, son of Jessie Frank Abbey and Dorothy Junia Dennis. Keri married John Elwin Irvin III, son of John Elwin Irvin II and Brenda G. O'Neal. Arita next married Michael Sean Routh, son of Eugene Copass Routh and Loretta Bourgeois. Scotty married Mary Lenora Fouts. 1088 M ii. Scotty Vaughney Wood was born on 19 Mar 1975 in Keesler Afb, Harrison, Mississippi, United States and died on 21 Jan 1992 in Taylor, TX at age 16. James married Deborah Ann Norwood, daughter of Thomas Walter Norwood and Mildred Fay Trull. James married Renee Faye Dornbush, daughter of James Norman Dornbush and Maxine Faye Biggar. 538. Carroll Davis Lowery (Ruby Weems244, Mary Melinda (Molly) Wood117, Robert Walker57, Matthew J.23, Brewer6, James1) was born on 21 Oct 1933 in Noxapater, Winston, Mississippi, United States, died on 21 Jan 1982 in Philadelphia, Neshoba, Mississippi, United States at age 48, and was buried in Mars Hill Cemetery, Winston, Mississippi, United States. 1092 F i. Donna Jo Lowery died before Nov 1999. 1093 F ii. Tina Marie Lowery was born on 22 Feb 1956 and died on 27 Apr 2011 at age 55. 1094 F iii. Belinda Ray Lowery was born on 16 Mar 1957, died on 6 May 1957, and was buried in Mars Hill Cemetery, Winston, Mississippi, United States. 1095 M iv. Sammy Dale Lowery was born on 30 Nov 1958 and died on 10 Jul 2000 at age 41. James married Mavis Marie Manning, daughter of Raughty Manning and Sally Mae Simms. Mavis was born on 13 Jan 1939, died on 7 Jun 1997 in Jackson, Hinds, Mississippi, United States at age 58, and was buried in Mars Hill Cemetery, Winston, Mississippi, United States. James married Peggy Tucker, daughter of Clifton Tucker and Shirley Davis. 540. Doris Cornelia Lowery (Ruby Weems244, Mary Melinda (Molly) Wood117, Robert Walker57, Matthew J.23, Brewer6, James1) was born on 18 Sep 1944, died on 19 Sep 1998 at age 54, and was buried in Hinze Baptist Church Cemetery, Winston, Mississippi, United States. 541. Joseph David Lowery (Ruby Weems244, Mary Melinda (Molly) Wood117, Robert Walker57, Matthew J.23, Brewer6, James1) was born on 12 Oct 1949 in , Winston, Mississippi, United States, died on 20 Jul 2010 at age 60, and was buried on 22 Jul 2010 in Hinze Baptist Church Cemetery, Winston, Mississippi, United States. Graveside services for Mr. Joseph David Lowery, 60, were held at 2 p.m. Thursday July 22 at Hinze Cemetery in Winston County. Rev. Chris Gully officiated. A native of Winston County, Mr. Lowery was a U.S. Army Veteran and retired after working 15 years with Sierra Pipeline of Dayton, TX. Mr. Lowery was a Baptist. Survivors include wife Betty Lowery of Forest, MS, son Scottie (Hope) D. Lowery of Forest, MS, brother Jimmy Lowery of Louisville, MS, and 3 grandchildren. Pallbearers were Scottie Lowery, Robert Lasseter, Rusty Breaux, Robby Breaux, David Warren & Randy Clark. Joseph married Betty Lou Warren, daughter of Robert Brutus Warren and Vada Lou Banes. Paula married James (Jimmy) Sadler Childress, son of James Hinton Childress Jr. and Winifred Sadler. James married Debra Strowd, daughter of William Earl Strowd Sr. and Nancy Comeaux. Edwin married Virginia Ruth Seals, daughter of Jack Seals and Lillian McRee. 1112 M ii. Edwin (Eddie) Lamar Hunt Jr.
Edwin next married Linda Fleming Doggett, daughter of Leon Fleming and Katherine Smith. 545. James Noel (Jimmy) Hunt (Howard Edward Hunt246, Martha Jane Wood118, Robert Walker57, Matthew J.23, Brewer6, James1) was born on 20 Apr 1940 in , Winston, Mississippi, United States, died on 20 Dec 2012 in Tupelo, Lee, Mississippi, United States at age 72, and was buried in Tupelo Memorial Park, Lee, Mississippi, United States. 547. James Everett Hunt (Everett Lamar Hunt247, Martha Jane Wood118, Robert Walker57, Matthew J.23, Brewer6, James1) was born on 30 Nov 1948 in , Winston, Mississippi, United States, died on 22 Aug 2011 in Birmingham, Jefferson, Alabama, United States at age 62, and was buried on 25 Aug 2011 in Antioch Baptist Church Cemetery, Winston, Mississippi, United States. James married Ethel White, daughter of J. C. White and Christine. Richard married Brenda Tabor, daughter of William Tabor and Mary Frances Johnson. Brenda was born on 23 Dec 1954. Linda married Royce Coleman McMinn Jr., son of Royce Coleman McMinn and Martha Inez Gainer. Larry married Ann Martin Hensley, daughter of Tommy Hensley and Margaret Martin. Ann was born on 12 Oct, died on 10 Oct 2009 in Noxapater, Winston, Mississippi, United States, and was buried in Mount Carmel Cemetery, Winston, Mississippi, United States. Sammy married Tina Katrina Parks, daughter of Lewis Parks and Lillie Ferris. 552. Jerry Wayne Holdiness (Evelina Marie Hunt248, Martha Jane Wood118, Robert Walker57, Matthew J.23, Brewer6, James1) was born on 21 Mar 1949 in , Winston, Mississippi, United States, died on 22 Jan 2009 at age 59, and was buried in Harmony Cemetery, Winston, Mississippi, United States. Jerry married Beverly Myers, daughter of Jim Myers and Macy Holton. Sean married Jennifer Claire Daigre, daughter of Milton Daigre and Julie. 553. Johnnie Hank Holdiness (Evelina Marie Hunt248, Martha Jane Wood118, Robert Walker57, Matthew J.23, Brewer6, James1) was born on 10 May 1955, died on 16 Dec 2001 in Jackson, Hinds, Mississippi, United States at age 46, and was buried on 19 Dec 2001 in Enon Cemetery, Winston, Mississippi, United States. Johnnie married Kathy Holton, daughter of Otis Holton and Mozelle McArthur. Johnnie next married Jan Clark. 1131 M ii. Anthony James Blair was born in Nov 1975, died in Apr 1996 in Madison, MS at age 20, and was buried in Memorial Park Cemetery, Winston, Mississippi, United States. Barbara married Kenneth Ray Yount. 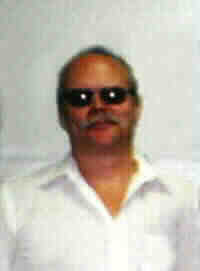 1132 M i. Kenneth Ray Yount Jr.
Kenneth married Stephanie Rae Fox. Evan married Elizabeth Eastland Tribble, daughter of George Metcalf Tribble and Betty Sue Turpin. Julie married Charles Walker Ettinger, son of George Sylvester Ettinger and Teresa Hope Westbrook. Julie next married Richard Gordan Wanderman Jr., son of Richard Gordan Wanderman and Nancy Ann Chase. 563. Janis Marie Wright (Eddie Mae Shumaker254, Sadie Wallace Wood120, Robert Walker57, Matthew J.23, Brewer6, James1) was born on 17 Jul 1941 in Arbyrd, Dunklin, Missouri, United States, died on 19 Aug 2001 in Modesto, Stanislaus, California, United States at age 60, and was buried in Lakewood Memorial Park, Stanislaus, California, United States. Janis married Richard Karl Olmsted, son of Abraham Olmsted and Nelia Mark, on 23 Nov 1963 in Memphis, Shelby, Tennessee, United States. Richard was born on 21 Jan 1938 in French Camp, San Joaquin, Fresno, CA and died on 19 Jul 1980 in San Bernardino, CA at age 42. Joan married Lewis Rose III. Heath married Erica Lynette Wilson. Suzanne married Robert L. (Bob) Ayers, son of Ayers and Lucy. Shannon married Jeremy Chad Morgan, son of Keith Morgan and Kathy. Terri married William Lee Forsythe, son of Rivers Forsythe and Frances Williamson. Cary married Graydene Jaye Presnell, daughter of Graydon Jay Presnell and Florence Carolyn Zahlke. Cary next married Robin Lynn Cain, daughter of Frederick Albert Cain and Mary Christinia Ronner. They had no children. David married Sandra Gail Williams, daughter of John Thomas Williams and Martha June Reason. David next married Lucia Francheska Marcia, daughter of Nelson Edgardo Marcia and Lucia Isbel Jovel. James married Pamela Gay Weinert, daughter of Rodney Kent Weinert and Barbara Jean Melrose. Cynthia married Bernard Glenn Weimer, son of Bernard L. Weimer and Virginia L.
Richard married Amy Kathleen Ellison, daughter of Richard Wayne Ellison and Virginia Lee (Ginny) Tommllison. Susan married Bruce Allan Smith, son of Robert Skinner Smith and Martha Anne Rogers. 575. Marion Evelyn Horton (Ira Woodward Horton Sr267, Pearla Ophelia Crosby124, Orra Alice Wood58, Matthew J.23, Brewer6, James1) was born on 4 Nov 1924 in , Winston, Mississippi, United States, died on 14 May 2002 in Mobile, Mobile, Alabama, United States at age 77, and was buried in Whitehall Cemetery, Winston, Mississippi, United States. Marion married Charles Francis Black Sr. on 5 Feb 1944 in Mobile, Mobile, Alabama, United States. Charles was born on 13 Feb 1917, died on 11 Oct 1972 at age 55, and was buried in Whitehall Cemetery, Winston, Mississippi, United States. + 1161 M i. Charles Francis Black Jr.
+ 1162 M ii. John Hans Black was born on 29 Sep 1948 in Mobile, Mobile, Alabama, United States and died on 12 Nov 1989 in Mobile, Mobile, Alabama, United States at age 41. 1163 F iii. Mary Faye Black was born on 10 Dec 1963, died on 13 Nov 1999 at age 35, and was buried in Whitehall Cemetery, Winston, Mississippi, United States. Mary married Michael Webster Sullivan. James married Dorothy Ann Bass, daughter of Ralph Cook Bass and Dorothy Agnes Thompson. Ira married Judy Faye Kemp. 581. Felix Horton Giffin (Sadie Pearl Horton268, Pearla Ophelia Crosby124, Orra Alice Wood58, Matthew J.23, Brewer6, James1) was born on 14 Mar 1926 in Noxapater, Winston, Mississippi, United States, died on 25 Aug 2009142 at age 83, and was buried in Memorial Park Cemetery, Winston, Mississippi, United States. Felix married Marilyn Mae Miller, daughter of Moses Clark Miller and Mildred, on 28 Mar 1948 in Louisville, Winston, Mississippi, United States. Marilyn was born on 4 Oct 1926 in Shreveport, Caddo Parish, Louisiana, United States, died on 22 Jan 1973 in , Winston, Mississippi, United States at age 46, and was buried in Memorial Park Cemetery, Winston, Mississippi, United States. + 1169 F iii. 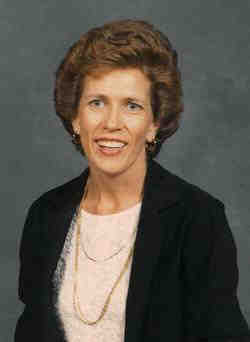 Phyllis Adele Giffin was born on 22 Jul 1953 in Fort Mcclellan, AL and died before 25 Aug 2009. Felix next married Rebecca Thornton, daughter of Clayton Thornton and Blanche Hollingsworth. 582. Alma Jean Giffin (Sadie Pearl Horton268, Pearla Ophelia Crosby124, Orra Alice Wood58, Matthew J.23, Brewer6, James1) was born on 15 Aug 1927 and died on 24 Sep 1993 in Brandon, Rankin, Mississippi, United States at age 66. Alma married Paul Archie Younger on 26 Aug 1952. Paul was born on 7 Feb 1929, died on 26 Jan 1992 in , Winston, Mississippi, United States at age 62, and was buried in Memorial Park Cemetery, Winston, Mississippi, United States. Betty married William Warren Martin Jr., son of William Warren Martin Sr.
Yvonne married Glenn Fulton. Glenn was born on 29 Nov 1928 and died on 22 May 1993 in Louisville, Winston, Mississippi, United States at age 64. Yvonne next married Warren Cornelius Duke Jr., son of Warren Cornelius Duke Sr. and Lucy Capsell. Warren was born on 27 Nov 1909 in Camden, Wilcox, Alabama, United States and died on 7 Mar 1994 in Louisville, Winston, Mississippi, United States at age 84. Yvonne next married Dewitt Grey Crawford, son of J. A. Crawford Sr. and Louise Beamon. Elizabeth married Gary Weingarden, son of Earl Weingarden and Shirley. 589. Carol Medora Horton (Marion Ebb Horton271, Pearla Ophelia Crosby124, Orra Alice Wood58, Matthew J.23, Brewer6, James1) was born on 4 Dec 1936 in Leesville, Vernon Parish, Louisiana, United States, died on 26 Nov 1992 in Amite, Tangipahoa Parish, Louisiana, United States at age 55, and was buried on 28 Nov 1992 in Gates of Prayer Cemetery, Orleans Parish, Louisiana, United States. Carol married Howard McKinnon Daniels Jr.
Carol next married Sidney Wolfe Grishman in Oct 1974. Sidney was born on 29 Jun 1934 in New Orleans, Orleans Parish, Louisiana, United States, died in Jul 1997 in New Orleans, Orleans Parish, Louisiana, United States at age 63, and was buried in Gates of Prayer Cemetery, Orleans Parish, Louisiana, United States. Carol next married James Franklin Atkinson Jr.
590. Andrea Pearla Horton (Marion Ebb Horton271, Pearla Ophelia Crosby124, Orra Alice Wood58, Matthew J.23, Brewer6, James1) was born on 16 Jan 1942 in Gulfport, Harrison, Mississippi, United States, died on 13 Jul 2013144 at age 71, and was buried on 16 Jul 2013. Andrea married Gary David Pedigo. 591. Charles Devon Massey (Mary Ruth Horton273, Pearla Ophelia Crosby124, Orra Alice Wood58, Matthew J.23, Brewer6, James1) was born on 10 Oct 1935 in , Winston, Mississippi, United States and died on 25 Jun 1999 in Fayetteville, Cumberland, North Carolina, United States at age 63. Charles married Gloria M. Lisenby. + 1186 M i. Mark Devon Massey was born on 12 Jun 1955 and died on 18 Mar 1986 in Montgomery, Montgomery, Alabama, United States at age 30. Charles next married Martha Sue Kirkland, daughter of Aldie Luke Kirkland and Wildie Dee Mims. Danny next married Glenda Jean Turnham. James married Lotie Cottingham, daughter of Bill Cottingham and Jean. Jeffery married Sandra. 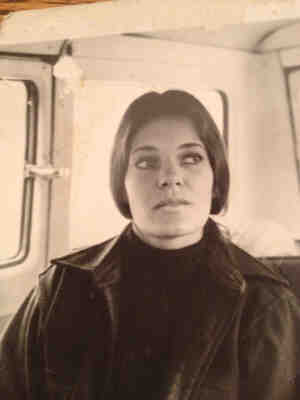 Sandra was born on 12 Jun 1954 and died on 25 Dec 1979 at age 25. Jeffery next married Pamela Lyke. Bambia married James H. Gabriel. Robert married Diane Ross, daughter of Glen Ross and Frances. 601. Walter Roderick Johnson (Elry Lee Johnson286, Orra Lee Crosby126, Orra Alice Wood58, Matthew J.23, Brewer6, James1) was born on 22 Jun 1929 in , Neshoba, Mississippi, United States, died on 31 May 2007 in Scottsdale, Maricopa, Arizona, United States at age 77, and was buried on 8 Jun 2007 in Old Pearl Valley Cemetery, Neshoba, Mississippi, United States. Walter married Mable Ruth Dees, daughter of Martin Alonza Dees and Sudie Frances Cole, on 3 Sep 1949 in Jackson, Hinds, Mississippi, United States. Mable was born on 11 Apr 1929 in , Neshoba, Mississippi, United States, died on 18 Feb 2008 in Phoenix, Maricopa, Arizona, United States at age 78, and was buried on 23 Feb 2008 in Old Pearl Valley Cemetery, Neshoba, Mississippi, United States. Hilda married John Richard Stuart, son of Levi Lincoln Stuart and Eddie Lee Gamblin. John married Cindy Cash, daughter of John R. Cash and Vivian Liberto. Meridith married Howard Barry Hannah, son of William Edward Hannah and Elizabeth King. + 1204 M i. Howard Barry Hannah Jr.
Edward married April Ann Burdin, daughter of Walter Burdin and Mary Corrin. Meridith next married Keith Carlton Wheatley. Hester next married Janis Hopkins. Jane married Thomas Cecil Bentley, son of Cecil Elbert Bentley and Norma Lake. Bobby married Christine Coats, daughter of C. B. Coats and Lucille Smith. Morris married Stephanie Green, daughter of Wayne Green and Mary. Don next married Teresa Penson, daughter of G. Ardell Penson and Carolyn Smith. Johnnie married Charles Kahn Bodenger, son of Harry Bodenger and Helen. Michelle married David Miller Matheson. Carolyn married Robert Eddy Wiggins. William married Joyce Faye Feibelman. Deborah married Steven Mark Hester. Helen married Charles Robert Burnett Jr.
Mary married Paul James Jacobs Sr.
+ 1221 M i. Paul James Jacobs Jr.
Ralph married April Fontaine Ross. 615. Peggy Ann Hill (Lee Breland Hill294, Mary Alice Crosby127, Orra Alice Wood58, Matthew J.23, Brewer6, James1) was born on 18 Oct 1936 in Philadelphia, Neshoba, Mississippi, United States and died on 12 Dec 2004 at age 68. 1228 M ii. Phillip Rudolph Hutton Hardy Jr.
Patricia married Kellis Lavern Madison. Beverly married Ike S. Brumfield. Sally married Charles (Buz) Hair. Charles was born on 19 Feb 1947 in Houston, Harris, Texas, United States and died on 8 Sep 2000 in Baton Rouge, East Baton Rouge, Louisiana, United States at age 53. Martha married Ellis Burton Goodloe. Elizabeth married Marc Albert Kinzel. Jimmy married Beverly Ann Humpheries. Jimmy next married Mary Mullins. Jimmy next married Ginny Wilkerson. Joan married Otis Rhea Warren, son of Odis Warren and Lorene Hale. 627. Don Willard Agent (Gladys Imogene (Jean) Hill299, Mary Alice Crosby127, Orra Alice Wood58, Matthew J.23, Brewer6, James1) was born on 1 Feb 1949 in Philadelphia, Neshoba, Mississippi, United States, died on 11 Jul 1997 in Jackson, Hinds, Mississippi, United States at age 48, and was buried on 13 Jul 1997 in Carpenter Cemetery, Hinds, Mississippi, United States. Don next married Lila Jerome (Jerry) Peyton. Thomas married Susan Peters Brown. Judy married Clyde Edward Briggs. Janice next married Michael Cramer Wunnenberg. Michael was born on 22 Mar 1945 in Norfolk, Norfolk, Virginia, United States and died on 16 Oct 1998 at age 53. Laura married Timothy James Richard. Janice next married Johnny Marshall Halloway Jr., son of Johnny Marshall Halloway and Dorothy. Mary married Jimmy Tillman Kight. Raymond married Deborah Ruth Pearson, daughter of Jerry Pearson and Grace Cooksey. Lynda married Bobby Clifton Luke. Bobby was born on 2 Nov 1956 in DeKalb, Kemper, Mississippi, United States, died on 28 Sep 2012 in Jackson, Hinds, Mississippi, United States at age 55, and was buried on 30 Sep 2012 in Cedarlawn Cemetery, Neshoba, Mississippi, United States. 1271 F i. Paige Kathleen Luke was born on 13 Jul 1983 in Meridian, Lauderdale, Mississippi, United States, died on 15 Jul 1983 in Meridian, Lauderdale, Mississippi, United States, and was buried in Sebastopol Cemetery, Scott, Mississippi, United States. James married Diane Williams, daughter of Lawrence Williams and Lucille. Michael married Susan Jordan, daughter of Max Jordan and Martha. Ronald married Carlotta Lee York, daughter of William Robert York and Alma Brown. + 1281 M ii. 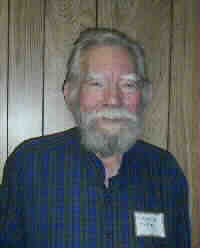 Ronald (Ronnie) Lee Clark Jr.
Patricia married William Marcus O'Brien, son of M. William O'Brien and Elizabeth Harte. Mark married Karen Hovland. Karen died in Aug 2002 in Stowe, Lamoille, Vermont, United States. 1286 M i. Mark Eric McCarthy was born on 26 Dec 1969 and died on 7 Mar 2000 in Vermont at age 30. Mark next married Kathleen Clark. Veronica next married Thomas Dearden. Teresa married Robert Patrick Flaherty, son of Robert Flaherty and Louise Lyons. Jessica married Eric Robert Passeggio, son of Robert Passeggio and Elise. Katlin married Kevin Michael Fitch. 647. Billy Wayne Melton (Romona Delores Clark309, Ada Bell Crosby130, Orra Alice Wood58, Matthew J.23, Brewer6, James1) was born on 29 Apr 1954 in Philadelphia, Neshoba, Mississippi, United States, died on 15 Nov 1998 at age 44, and was buried in Old Pearl Valley Cemetery, Neshoba, Mississippi, United States. Billy married Annette Hudgins, daughter of John Hudgins and Doris Raines. Bobby married Marilyn Gay Miller, daughter of Herman Miller and Mona Fern Wilson. 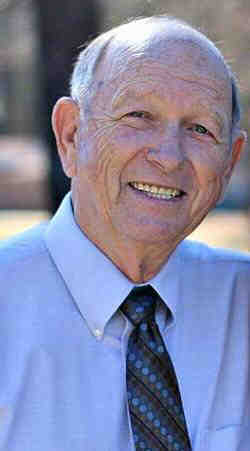 Katheryn married Darrel Ray Sittig, son of Arkie Sittig and Shirley. Katheryn next married John Brian Chitty. Dee married Janette Eldridge, daughter of Earl Eldridge and Opel McGraw. Dee married Hunter H. Mills. Carl married Sherry Ann Landrum, daughter of A. P. Landrum. Norma married Clifton Doyle Smith. Clifton was born on 10 Jun 1940 in , Neshoba, Mississippi, United States and died on 4 Jan 1995 in Jackson, Hinds, Mississippi, United States at age 54. Norma next married Earl C. Hankins. Polan married Martha Louise Gray, daughter of Earl Woodward (Junior) Gray and Frances Mayzell Hall. 1305 M iii. Ryan Willis was born on 8 Mar 1972 in Philadelphia, Neshoba, Mississippi, United States, died on 8 Mar 1972 in Philadelphia, Neshoba, Mississippi, United States,167 and was buried on 10 Mar 1972 in Sandtown Cemetery, Neshoba, Mississippi, United States. Peggy married Robert Gaines Wilson, son of Elton F. Wilson and Marie Reaux. Julie married Ronald Forrest Cowgill. Enid married John William Lockett. Enid next married Nicholas Leopoldus. Nancy married Gerald Keith Beckham. Nancy next married Jimmy Dale Joiner. Eris married Leo P. Giurintano. Elva next married Barry Alan Firstenberg. Eles married Daniel Otis Renfroe. Rebecca married Montie Ray McGee. Robert married Martha Ann Barrett. 666. James Crosby (James Melvin Crosby316, Frank Woodard Crosby131, Orra Alice Wood58, Matthew J.23, Brewer6, James1) was born on 23 Sep 1956 in , Neshoba, Mississippi, United States. Vera married Joe Thomas Phillips. Linda married James Kenneth Rockco. Stephanie married Kevin Wayne Shirley. Elizabeth married Henry Guy Richards III. Pamela married Robert Michael Lewis, son of William Gary Lewis and Frances Edwards. Casey married Jacob Blayne Phillips. Mitchell married Laura Leslie Fulton. 1339 F i. Meagan Nicole Alford was born on 17 Aug 1985, died on 10 Jul 2000 in , Winston, Mississippi, United States at age 14, and was buried on 13 Jul 2000 in Parkway Memorial Cemetery, Madison, Mississippi, United States. Mitchell next married Gay Luke. Sheila married Tony Dwight Wilson, son of Dwight Wilson and Judy Cooksey. Steven married Kathleen (Kathy) Ann McCurdy, daughter of James Earl McCurdy and Clara Jean Snyder. Gary married Bonnie Ruth Hunter, daughter of John Hunter and Myrtle Dove. Jessie married Edward Craft, son of Edward Craft. Johanna married David Bombach, son of Richard Bombach. Ivan married Margaret Ann Ables, daughter of Cecil Johnson and Margaret Joan Dodd. Randy married Elizabeth Hope Wolf, daughter of Gilbert Wolf and Elaine Abrams. Chistopher married Maureen Saunders, daughter of Leon Saunders and Sophie. Charles next married Jimmie Sue Houston, daughter of Otto Samuel Houston and Connie Lum. Karen married Guy Norman Morris, son of G. P. Morris Jr. and Ludie Manning. 1361 M ii. 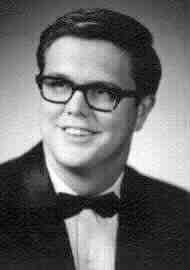 Gaines Pearson Morris was born on 13 Jul 1966 in Philadelphia, Neshoba, Mississippi, United States, died on 23 Aug 1991 in Philadelphia, Neshoba, Mississippi, United States at age 25, and was buried in Mars Hill Cemetery, Winston, Mississippi, United States. Sanford married Bonnie Lucille Taylor. Twyla married James Dana Waters. Sandra married Jerry Horace Courson Jr.
Thomas married Judith Gail Adair. Jeffrey married Debra Ann Brazeal. Barbara married William Mike Reap, son of Clarence Reap and Estelle Jones. Lisa married Franklin Leland Watts Jr., son of Franklin Leland Watts. Peggy married John Lee Torres Sr.
1377 M i. John L. Torres Jr.
Peggy next married Harry Brooks Langston. Ronald married Melba Ann Rogers. Ronald next married Brenda Sue Freeman. Ryan married Jessica Kay Heard. Marl married Georgie Ann Christian, daughter of Jewel Christian. Marl next married Lynda Jones, daughter of Lloyd Sullivan. Deanna married Jackie Wayne Gilbert, son of Clayton Randolph Gilbert and Rosie Lee Bupissey. + 1389 M i. Jackie Wayne Gilbert Jr.
Michael married Candace Wilson, daughter of Willie Wilson. Charles next married Carol Sawyer, daughter of Tom Sawyer. 1393 M i. Charles Michael Costello Jr.
Martha married Roger Lee Maxwell, son of Howard Maxwell and Rose Lee Newell. Nancy married Morris David East II, son of Morris David East and Laura Mae Viney. Raymond married Joy Nell Hood. Susan married James Harris Baskin. Susan next married Maurice (Butch) Wilson. Donald married Brenda Sue Hudon. Debra married Elmore Louis Catoire. Kimberly next married Steve Winfrey. Tamara married Steve Minzie, son of Ron Minzie. Patricia married Robert Michael Withrow. Patricia next married Jeffrey Harold Boden. Patricia next married Tony Morris Kirkland, son of Less Kirkland. 718. Kathy Rene Wood (James Devonne337, Dee Dock135, Dock Elias James Rubin Harrel James59, Matthew J.23, Brewer6, James1) was born on 11 Dec 1953 in Long Beach, Los Angeles, California, United States and was buried in Collinston, Morehouse Parrish, Louisiana, United States. Kathy next married David Jones. Kathy next married Robert Hall. Pamela next married Mike Giebler, son of Walter James Giebler and Delores Unrine. 721. Bobby Jack Morrow (Beatrice Salter339, Mary Bridgett Wood136, Dock Elias James Rubin Harrel James59, Matthew J.23, Brewer6, James1) was born on 22 Feb 1931 in Dixon, Neshoba, Mississippi, United States, died on 1 Dec 1967 in Philadelphia, Neshoba, Mississippi, United States at age 36, and was buried in Cedarlawn Cemetery, Neshoba, Mississippi, United States. Bobby married Carolyn Clark, daughter of Arthur Howard Clark and Annie Jewell Massey. 722. Joan Morrow (Beatrice Salter339, Mary Bridgett Wood136, Dock Elias James Rubin Harrel James59, Matthew J.23, Brewer6, James1) was born on 22 Mar 1932 in Dixon, Neshoba, Mississippi, United States, died on 16 Jul 2001 in Philadelphia, Neshoba, Mississippi, United States at age 69, and was buried on 17 Jul 2001 in Hope Cemetery, Neshoba, Mississippi, United States. Joan married John F. Lewis, son of Leroy Lewis and Jennie Sanders, on 28 Dec 1949 in , Neshoba, Mississippi, United States. John was born on 17 Jul 1928, died on 3 Jul 2015 in Madden, Leake, Mississippi, United States at age 86, and was buried on 6 Jul 2015 in Hope Cemetery, Neshoba, Mississippi, United States. Shirley married Dalton Olen Lundy, son of Gorden Lundy and Era Hardy. Dalton was born on 18 Apr 1934 in Philadelphia, Neshoba, Mississippi, United States, died on 25 May 1992 in Philadelphia, Neshoba, Mississippi, United States at age 58, and was buried in Eastlawn Cemetery, Neshoba, Mississippi, United States. Shirley next married Jasper M. Blount, son of Jasper Monroe Blount and Hattie Chapman. Jasper was born in 1921, died on 11 Sep 2003 in Philadelphia, Neshoba, Mississippi, United States at age 82, and was buried in Cedarlawn Cemetery, Neshoba, Mississippi, United States. Barry married Rosemary Farrell, daughter of Peter Farrell and Rita Kelly. Deborah married Billy Sanders Durham, son of Vernon Durham and Alma. Winnie married John Verdo Gregory, son of Ernest Hay Gregory and Cleta Bell. 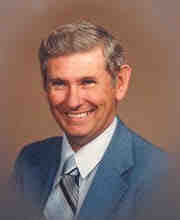 Martha married Stennis Dale Womble, son of Stennis Womble. Susan next married James (Jim) Davison. Kenneth married Jennifer Holly Jacob, daughter of Joseph Jacob and Winfred Holley. Melissa married Peter Pikul Jr., son of Peter Pikul and Mary Elizabeth Booth. Linda married Billy Ray Hall, son of Thomas Calvin Hall and Annette Winford Farmer. 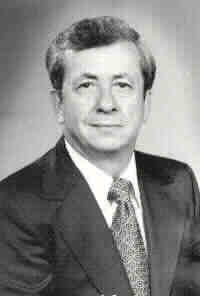 1437 M i. Billy Ray Hall Jr.
Sandra married Larry Ray English. Larry was born on 26 Jan 1947 in Dallas, Dallas, Texas, United States and died on 9 Dec 1991 in Dallas, Dallas, Texas, United States at age 44. Sandra next married Dwight Gene Tyndall, son of Clyde Holt Tyndall and Elizabeth West. Joan married David Wayne Miller, son of O. T. Miller and Illa Mae. Steven married Alexis A. Mears. 738. Philip Wood Graham (Edgar Rupert Graham350, Rose Nell Wood138, Dock Elias James Rubin Harrel James59, Matthew J.23, Brewer6, James1) was born on 8 Jul 1955 in Dallas, Dallas, Texas, United States and died on 9 Apr 2017 at age 61. Philip married Debra Janet Bright. Bruce married Judith (Judy) Lee Riley, daughter of Herbert Lee Riley and Florence Elizabeth Moody. 1445 M ii. Bruce Keith Wiltse Jr.
Bruce married Joyce Jeannette Rebhan, daughter of Robert Rebhan and Jan Plaster. Alice married James Herman Gibbs, son of Earnest Gibbs and Tillie Mae Tidwell. James was born on 27 Oct 1942 in , , Texas, United States and died on 10 Aug 1991 in Dallas, Dallas, Texas, United States at age 48. + 1448 M ii. James Herman Gibbs Jr.
Alice next married Thomas Sidney Moore. Thomas was born on 12 Mar 1946 and died on 21 May 1997 in Fresno, Fresno, California, United States at age 51. Andrea married Larry Alan Isom, son of Dale Isom and Betty Reynolds Bradshaw. Andrea next married Wilford (Bill) Hartman III, son of William Hartman Jr. and Beulah Mae (Carroll) Tinker. Amy married Timothy (Tim) Blasdell. Barnett married Rebecca Anne Carter, daughter of W. W. (Billy) Carter and Rebecca Gipson. Juliana married James Patrick Barnes, son of Patrick James Barnes. 1458 F ii. Molly Kate Marcase was born on 24 May 2009 in Pineville, Rapides Parrish, Louisiana, United States and died on 25 Aug 2009 in Pineville, Rapides Parrish, Louisiana, United States. Melvin married Karen Michelle Akin, daughter of Mike Akin and Betty Stanford. Rachel married Larner Anthony (Tony) Peak. Flint married Bonnie Michael Symonds, daughter of Michael F. Symonds and Elsa Ornelas. Michael married Mitze Naomi Peebles, daughter of Billy Allen Peebles and Earlene Edwards. Jon married Stephanie Denise Houston. Jon next married Allison Blair Beavers, daughter of Charles Willis Beavers. Allan married Cynthia Ann Brantley. Robert married Nita Grant, daughter of Warren Grant and Louise Young. Anita married John William Daniel, son of Kenneth Daniel and Sue. Robert married Haidi Suzzett Kerbl, daughter of Frank Kerbl and Juanita. James married Rebecca Ann (Becky) Powell, daughter of Jessie Norman Powell and Marilyn Lancaster. 1472 M ii. James (Jimmy) Clifford Breazeale Jr.
Barry next married Jeanine Marie Evans. Jackie married Ralph S. Deweese. Jackie next married Ralph Myers. Jackie next married Chester Delynn Barrett. Jackie next married Gary Moore. Jackie next married Fred R. Majure. Gena married Brian Thomas Tate. Warren married Mary Ella King, daughter of Leon King. 1479 F i. Brenda June Ray was born on 26 Sep 1958 in Canton, Madison, Mississippi, United States and died on 13 Feb 1982 at age 23. Barbara married Edward McElvain Jr.
Allen married Lovonne Goheen, daughter of Robert Goheen. Cynthia married Edward Hamilton Wilson Jr.
Pamela married Thomas W. H. Buck. 1487 M i. Thomas W. H. Buck Jr.
Phyllis married William Warren Hamm Sr., son of William Grady Hamm and Jean Warren. 1490 M i. William Warren Hamm Jr.
George married Laura Ann Rast, daughter of Hank Rast and Becky Clemmons. George married Judith Ann (Judy) Harbour. Benjamin married Cindy Kiyomi Wilkerson. Sandra married John Steven Fischer. 1495 M i. Baby Boy Fischer was born in Jul 1976 in Birmingham, Jefferson, Alabama, United States and died in Jul 1976 in Birmingham, Jefferson, Alabama, United States. 1499 F ii. Jennifer Ann Parker was born on 31 Jul 1970, died on 31 May 1999 at age 28, and was buried in Spring Creek Cemetery, Neshoba, Mississippi, United States. Carl next married Patricia Anglin. Carl next married Lisa Ratcliff Stewart, daughter of Alex Ratcliff Stewart and Julia Mae Hofton. Kerry married Sandra Polk, daughter of Leo Polk. Terry married Laurie A. Smith, daughter of Eddie Warren Smith. Ramona married Cecil Duaine Purvis, son of Buford Duaine Purvis and Dorothy Louise Fortenberry. Ramona next married Jimmy Russell Hales, son of Jimmy Hales and Bobbie Dean. Ansel married Pamela Gail James, daughter of Thomas James and Bonnie Holden. Roger married Janice Janette Dempsey, daughter of Walter B. Dempsey and Inez Giffin. + 1522 M i. Clayton Thomas Smith was born on 11 May 1977 in Louisville, Winston, Mississippi, United States, died on 4 Oct 1998 in Jackson, Hinds, Mississippi, United States at age 21, and was buried in Bethel Cemetery, Madison, Mississippi, United States. Don next married Patsy Diane Woodlief, daughter of Donald Perry Woodlief and Ruby Gray Oakes. Marcus married Tammy Jene Watkins, daughter of Billy Jene Watkins and Hazell Lavell. Kimberly married Fred Lacey Kemp, son of Fred Randolph Kemp and Sara Adcok. Victoria married James Todd Peterson, son of James Peterson and Jean. Selina married Herbert Lee Boyles. Katherine married Dennis Suvanto, son of Wayno Suvanto and Constance Winiarski. 1543 M i. Dennis Wayne Suvanto Jr.
Ben next married Janice Sullivan. Jayne next married Lannie Staten. Terri married Donald (Danny) E. Zebert. Eire married Marty G. Ford. Eire next married David Dotson. Bonnie married Jerry William Titus, son of Danny Dean Titus and Norma Jean Batty. Bonnie next married Dennis Albright. Bonnie next married Brett Ayers. Michelle next married William Richard Corrick, son of Richard Corrick. Michelle next married Bradley David Jennings, son of Dan Jennings. Samantha married Daniel George Wadsworth Jr.
Ronald next married Kimberly Payne. Bob married Norma Louise Dystrup, daughter of Alderman Villads Dystrup and Lanora Fowler. 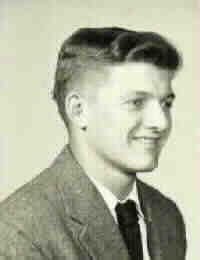 Bob next married Barbara Jean Cummings, daughter of Jerry Cummings and Thelma Carnine.